There's chatter about the rise of Pupie and his reemergence as a factor in the open North Hudson Sewerage Authority seat. The opening is months off with Anthony Soares, the former City Councilman who will see his NHSA commissioner seat become available early next year. He may not be inclined to sit it out and hand it over to the Pupster. Both the story and the commissioner seat doesn't end there. MSV Premium will highlight the good, the bad and the ugly on the whole affair later this week. In the interim, there's the one and only City Council meeting set for this month tomorrow night. granted him paid heath benefits for more than a quarter century. Related: Soares may be looking to repeat a Giant victory when Kurt Gardiner, a late entry to the NHSA commissioner sweepstakes last January flipped the script and took the nod. 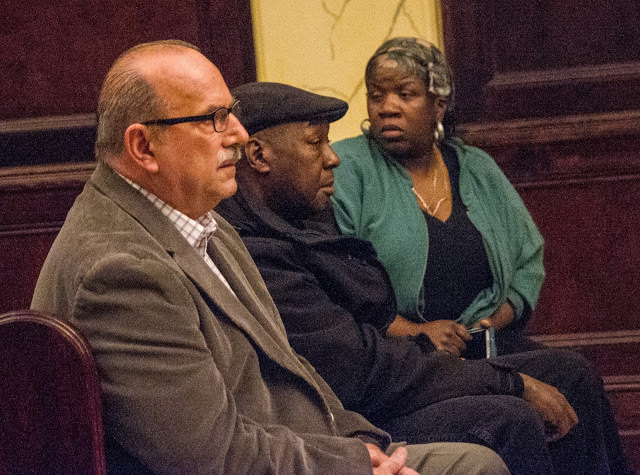 Raia reportedly is already courting votes on the City Council for a vote that may reappoint a commissioner in January of next year, if not sooner.